“‘Well it’s cold blooded murder friends, I’m talking about …’Such is the accusation that opens the angry chorus of ‘The Yablonski Murder.’ Hazel Dickens penned the musical indictment in January of 1970 after she read the newspaper story describing what she rightly surmised was the assassination of union leader Joseph “Jock” Yablonski, his wife Margaret, and his daughter Charlotte on New Year’s Eve, 1969. Unlike many of the ballads we consider in this blog, this one deals in essential facts proven in multiple trials of the men and women convicted for involvement in the crime. Cold blooded murder it was indeed. Now who’s gonna stand up and who’s gonna fight? Oh Lord the poor miner, will his fight never end? Oh where is his victory how will it stand? The song was perfectly clear to any American coal miner in 1969, but for us today it’s a bit sketchy. So what really happened? Though music rather than crime is our focus here at MBM, the background of these particular murders informs the core message of the song and is easy enough to relate in quick summary. 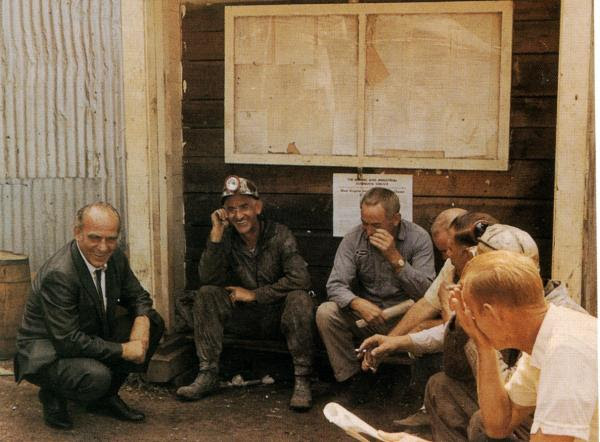 The setting is the rough and tumble landscape of union politics in the United Mine Workers of America, in the first decade after the resignation of its controversial, autocratic, but highly effective president John L. Lewis. It is a tale of coal and blood, a drama of corruption and the strength of common working men and women dedicated to reform. An aging John Lewis resigned from the presidency of the UMWA in 1960. Unfortunately, his popular successor Thomas Kennedy took ill in 1962 and died in 1963. That left acting President William Anthony “Tony” Boyle in a position to win election to the presidency of the union with Lewis’s blessing. Boyle had been in Lewis’s inner circle for many years and by all accounts was as dictatorial a leader, though with none of Lewis’s political savvy or personal charm. By 1969 it had also become clear to a large portion of the rank and file membership that Boyle was not nearly as committed to their well-being as Lewis. Grievances went unresolved, demands for local autonomy were met with iron fist tactics, and wildcat strikes as well as the grassroots organization for benefits and protections concerning Black Lung disease put Boyle on the defensive. Many members viewed him as being more sympathetic to the coal operators than to the miners, particularly after his callous reaction to the Farmington Mine Disaster. 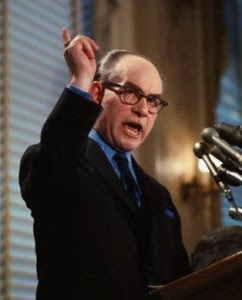 This all resulted in a campaign to wrest the presidency from Boyle in the union’s 1969 election, an insurgency led by the popular reformer and long-time UMWA organizer Joseph A. “Jock” Yablonski. Yablonski and Boyle had already become bitter political and personal enemies by the late 1960s. In the summer of 1969, Boyle met with Yablonski and tried to force him to withdraw his candidacy. That meeting ended in a shouting match and, as evidence later established, a plot by Boyle to steal the election and neutralize Yablonski. In the election that December 9th, Boyle bested Yablonski by a large margin. But clear evidence of widespread fraud and intimidation convinced Yablonski to challenge the election at the federal level. Eventually Judge William B. Bryant overturned the sham election in May of 1972 and issued an order for a new one to be held under federal supervision that December. Jock Yablonski though would not live to see that day. The story is made clear by evidence established in multiple courts. Boyle’s cronies, after ensuring their political victory, engineered the assassination to take place after the election so as to avoid suspicion of Boyle’s involvement. Three ne’er-do-wells took the job as amateur hit-men and were to be paid with $20,000 embezzled from the UMWA. After several abandoned attempts to carry out the executions, the three hapless gun thugs finally succeeded early on New Year’s Eve morning, 1969. They broke in to Yablonski’s home in Clarksville, Pennsylvania and shot Jock, his wife Margaret, and his daughter Charlotte. Jock’s son discovered the bodies several days later and a good deal of evidence at the scene led to the speedy capture of the three dull and sloppy killers. Yablonski’s supporters knew that Boyle was ultimately to blame, though there was no evidence to provide for an immediate arrest. However, the federally supervised new election in December of 1972 resulted in Boyle’s defeat at the hands of another reformer, Arnold Miller. Boyle’s troubles multiplied. He was convicted in early 1972 of embezzling union funds and making several illegal campaign contributions, the largest being to Hubert Humphrey’s 1968 presidential campaign. By April of 1973, enough evidence had accumulated to indict Boyle for the Yablonski murders, and in April of 1974 he was convicted and sentenced to life in prison for those crimes. His conviction was overturned, but his second trial in 1978 ended with the same result as the original, and he died a prisoner in 1985. All told and including Boyle, seven men and women were convicted for direct participation in the brutal plot and two others served time for indirect involvement. When Hazel Dickens heard the terrible news in early January of 1970, she as well knew that the blood was on Boyle’s hands, but she couldn’t prove it. She wrote in her 2008 book Working Girl Blues, “When I read about the murders in the newspaper, I was enraged. I sat down immediately and wrote the song, without very many details to go on.” If you listen to the song and read the lyrics above, there can be no doubt that even without knowing the details she saw it for exactly what it was – a political assassination. Eventually, as the facts were established in court, she rewrote the third verse to identify Boyle by name. Even without Boyle’s name in the original, any coal miner would have known exactly who and what she was talking about. Indeed, one wonderful thing I’ve always found about most labor songs is that they need little analysis to establish exact meaning. It’s all right out there. Of course, Hazel’s song seems also to be a murder ballad proper so I can’t resist a bit of teasing things out. But let’s be clear – it stands on its own. It had to. Violence and murder in the coal fields has always occurred against a backdrop starkly black and white. Hazel rose to the occasion, as she always did. Her message was exactly the one that was needed, even if she couldn’t always share it when the wounds were still open. Her song isn’t really about hating Tony Boyle or loving Jock Yablonski. It’s about hating corrupt power – the “trash” that keeps working people down – and it’s about loving, and saving, a union. Where does that leave us? “The Yablonski Murder” is indeed a murder ballad proper, but only insofar as it shares the news of such crime. It has little in common with traditional murder ballads beyond that. We’ve used the phrase “political murder ballad” in this blog before, and that is certainly a more appropriate description. Even so, I think we need to carve out a bit of ‘sub-category’ territory here, if it matters. What I mean is this just isn’t a labor movement ‘political murder ballad’ like “1913 Massacre” or “Ludlow Massacre”. It’s for a different time with different, more complicated, problems. Solidarity against the owners and their thugs in a time of class warfare is one thing, but building solidarity after your union has descended into corruption and civil war is quite another. I intend to spend some time on that earlier tradition of political murder balladry, particularly in the coal fields, next week. “The Yablonski Murder” has only one foot in that tradition, so I think we’ll get more out of looking at it separately. Actually, Hazel did give us a newer song firmly planted in that old tradition, about that disaster I mentioned above, and so we’ll see that next week as well. On the whole though it seems to me that the older labor songs actually borrow much more from traditional Appalachian murder balladry than does our topic song for this post, but you’ll have to judge for yourself to see if I can prove the case in that next post. For now, it’s worth considering that Jock Yablonski’s murder has often been noted as the last political assassination of the turbulent 1960s. The unions were no more immune to corruption and to the push for reform than any other American institution during that decade. And violence in that context is certainly something we’ve seen in this blog before. In fact, I note with some strange fascination that this is the third murder just from December of 1969 we’ve considered at Murder Ballad Monday. Meredith Hunter’s killing at the Altamont concert and Fred Hampton’s assassination both already appear in our work. “The Yablonski Murder” then might be more appropriately seen as music in the social and political context of the time of its creation than as simply a labor song – ‘category, political murder ballad – sub category, 1960s.’ I don’t know – maybe you’ll just have to figure that one out for yourself.” Patrick Blackman, “The Yablonski Murder–Coal and Blood, Part 1:” http://singout.org/2015/02/16/yablonski-murder-coal-blood-part-1/. “A shocking moment in the history of US politics occurred on 5th January, 1970, when the bodies of Joseph ‘Jock’ Yablonski, his wife Margaret and his 25 year old daughter Charlotte were discovered in their Pittsburgh farmhouse. The grisly crime brought to an end a series of assassinations over the preceding decade which seemed to reflect a volatile and divided United States. In the 1960s President John Kennedy, his brother Senator Robert Kennedy, Martin Luther King, Malcolm X and civil rights activist Medgar Evers had all been killed. All of them were well known, public figures. Most of them forged a reputation on challenging the status quo in the United States. Jock Yablonski, ultimately the target of the brutal assassinations in Pittsburgh, was just as controversial. In the years leading up to his death he had challenged W.A Boyle’s leadership of the United Mine Workers of America (UMWA), accusing the long term union president of cronyism and corruption. The murders themselves took place on New Years Eve, 1969. For weeks, three gunmen had stalked Yablonski, hoping to find an opportunity to corner and kill him. On 31st January, their opportunity finally came. Sneaking into the Yablonskis’ home, they shot and killed Charlotte in her bed as she slept. Moving onto the parent’s bedroom, they then killed Jock and Margaret, shooting Jock before he had a chance to reach the shotgun he kept close to his bed. Although the three killers: Paul Gilly, Aubran Martin and Claude Vealey, were arrested soon after the assassination, there was an immediate suspicion that Boyle had somehow been involved, with suggestions the murderers had been hired killers. 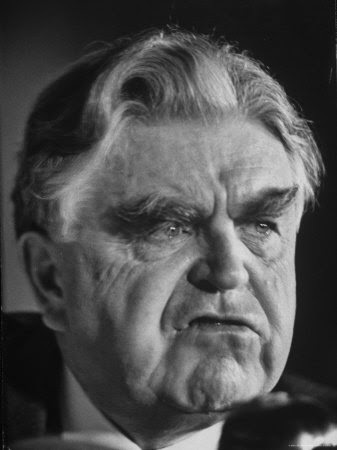 John Lewis, president of the UMWA for forty years, had brought Boyle into the union’s leadership in the 1940s. Boyle became Lewis’ protege, taking on increasingly important roles. In the 1960s, as Lewis’ retirement became imminent, Boyle was nominated as his successor. Boyle’s reign continued a trend that started with Lewis in the 1920s, the UMWA becomingly increasingly undemocratic with a close knit ruling heirarchy. Leaders were handpicked from above rather than elected from below, and were forging a tight bond with the bosses of the mining industry. By the mid 1960s, the arrangement was causing increasing discontent among the union’s rank and file membership. Along with a feeling that the UMWA had become a corrupt mess, members felt that the union was failing to do enough for the health, safety, and welfare of the miners. Yablonski, a one time member of UMWA’s executive board, broke ranks and caused controversy when he ran against Boyle for the union’s leadership. Yablonski’s campaign was an aggressive one, accusing Boyle of running a ‘dictatorship’ and labelling him a ‘crook and embezzler’. Yablonski lost, supposedly by a 2 to 1 margin, but he quickly reported to Federal officials that Boyle had won by fraud, prompting an investigation into the electoral process. 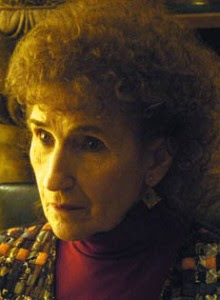 The connection between Boyle and the murders only came to light a few years later, an indirect result of the investigation into the electroal process triggered by Yablonski. Boyle was eventually found guilty of embezzlement, while also losing the union’s leadership in a new election. A Philadelphia prosecutor, Richard A. Sprague, took over responsibility for the Yablonski case, and over three years eventually traced the crime to the UMWA. Indicted in 1973, Boyle’s trial saw several witnesses testify that not only had he ordered the killing of Yablonski, he had personally transferred the $20,000 in payment to the killers. Boyle was found guilty, and sentenced to three consecutive life sentences.